Isaac Roberts was born January 27, 1829 in Groesback, near Denbigh, in northeastern Wales. His father, William Roberts, was a farmer. Even though his family moved to Liverpool, England when he was still young, it was not before he learned to speak Welsh. In 1844 he was apprenticed to a builder, working for John Johnson and Sons. As an apprentice he spent his evenings at the school in the Mechanic's Institute in Liverpool. After finishing his apprenticeship he remained with the same firm which he eventually became a partner and then owner. He retired from building in 1888 to devote his time to science. Initially he studied geology but he later switched his attention to astronomy for which he is mostly remembered. Roberts was a pioneering astrophotographer of nebulae. His picture of what at the time was called the Andromeda nebula (now known as the galaxy Andromeda) was the first to show its spiral nature. At the time it was not known that there were other galaxies besides our own. It was not till 1924 that Edmund Hubble determined that the universe went beyond the Milky Way galaxy. In addition to his photography Roberts developed an instrument that engraved stellar images onto copper plates called a stellar pantograver. For his pioneering work in astrophotography he was awarded a gold medal by the Royal Astronomical Society. In 1890 he became a fellow of the Royal Society. In 1892 he received an honorary doctorate from Trinity College, Dublin. Roberts died on July 17, 1904. 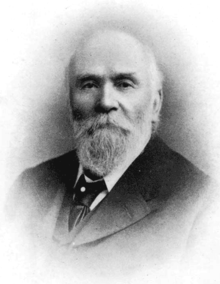 Jones, Bryn; "Isaac Roberts (1829-1904)"; Retrieved from: jonesbryn.plus.com.